Get great plants and expert advice from area professionals at Plant Sale with the Pros, featuring everything from annuals and perennials to ornamental grasses and shrubs. Olbrich’s staff carefully choose unique plants that do best in this climate. Find the newest, hardiest, most disease-resistant cultivars on the market. Local plant pros, master gardeners, and Olbrich’s horticulturists will be on hand to answer your questions. Proceeds from the plant sale benefit Olbrich Botanical Gardens. Shop early since quantities are limited. Shoppers are encouraged to bring cartons, wagons, or boxes for carrying plants. Cash, checks, MasterCard, Visa, and Discover are accepted. 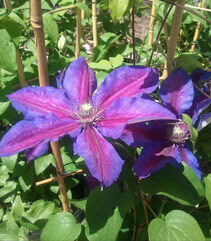 Maximize your support of the Gardens by using cash or check. Note: Due to construction, parking onsite may be limited this year. If you have to to park offsite, know that after you check out, you may leave your purchased plants at our Plant Pick-Up station before retrieving your vehicle. Win this raffle and you'll get $300 in free plants plus the chance to shop the Plant Sale with the Pros with the expert eye of Olbrich's Horticulture Director to guide you! Jeff Epping will spend an hour assisting the lucky raffle winner in selecting their free plant material during the Early Bird Shopping on Friday, May 10 from 9 - 11 a.m.
Got your eye on a particular plant? 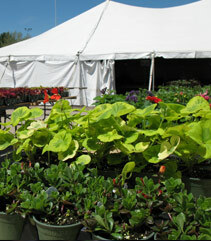 All Plant Sale with the Pros shoppers can take advantage of an Early Bird Shopping opportunity. By giving a $20 per person donation, or $30 per couple, you can shop on Friday, May 10, from 9 - 11 a.m. before the sale officially opens to the public. Patron, Benefactor, Angel, Lifetime/Circle, and Legacy Society Members shop early for free! Members save 20% off purchases in the Growing Gifts shop on Friday, May 10! An annual individual membership to the Olbrich Botanical Society starts at $40 and includes many other benefits throughout the year. Call 608-246-4724 for more information on membership or click here. You can also sign up to become a member at the Plant Sale with the Pros. 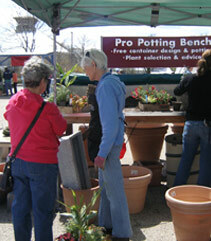 Take advantage of free container design and potting services at the Plant Pro Potting Bench. Get help selecting the best plants for a stunning container garden or hanging basket...then let a professional plant them for you! Refresh a lack-luster garden area at the Design Station during a free, 20 minute consultation. Local landscape architects will sketch out basic garden designs on the spot using your printed photos and feedback. Be sure to note the features of areas in your landscape, for example, how much water is received, lighting conditions, existing plantings, etc. Plant Sale with the Pros features everything from annuals and perennials to ornamental grasses and shrubs. Choose cultivars on the market including tropical plants that will fire up your garden, small-scale garden conifers, herbs, and butterfly plants along with hundreds of annuals and perennials. Find rare shrubs and trees, including hardy shrub roses that thrive in the challenging Wisconsin climate. Our friends from the Madison East Kiwanis Club will be selling tasty brats and hot dogs from their Brat Wagon from 11 a.m. - 2 p.m. both Friday and Saturday! Volunteers are needed each day of the sale for dozens of crucial jobs at one of our biggest fundraising events of the year. Volunteers are also involved in the planning and preparation during the weeks leading up to the sale. If you enjoy spending time outdoors in all kinds of weather, and love working with people as much as working with plants, consider pitching in at the Plant Sale! Interested? Contact Marty Petillo, Volunteer Services Manager, at mpetillo@cityofmadison.com or (608) 246-5807 to learn more.